We recognize and appreciate the extraordinary effort and sacrifice Hawaii’s public school teachers provide to our community. 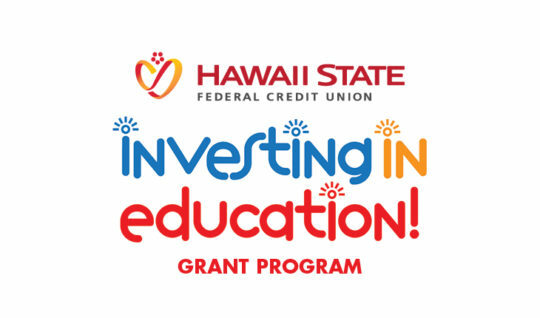 Our Investing in Education grant assists teachers in the State of Hawaii Department of Education to obtain much-needed supplies, books, furniture, electronics, equipment and other basic necessities for their classrooms. Applications will be available beginning September 1, 2019. Applicants must be a member of Hawaii State FCU and be currently employed in the Department of Education as a classroom teacher. How long does the program run? Grant funds are available from September 1 through October 31. Submissions will be reviewed and awarded as they are received and continue until all programs funds have been disbursed or until October 31, whichever comes first. What does the teacher need to do to apply? Teachers will be required to submit essays of 500 words or less explaining what is the need in the classroom, how the grant money will assist in student learning and provide details on items to be purchased and their cost. How will the grant recipients be selected? Recipients will be selected based on their essay submissions. How many grants will be awarded? Approximately 80, however the number will be determined by the amounts requested on the essays and the number of applicants received. Unlike a bank that’s more concerned with profit, we’re a not-for-profit concerned with our member’s financial and personal well-being. We’re all about people helping people. We hope that it shows in everything we do. Hawaii State FCU has already awarded more than half a million dollars in scholarships since 1996. 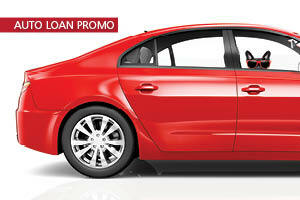 Recipients each receive $2,000 to be used toward a university, college or trade/vocational school. It’s important to recognize and appreciate everything our Hawaii teachers do for our kids. That’s why we created the Investing in Education Grant. The money can be used to buy classroom supplies, books, electronics and more. We believe in volunteering for worthwhile causes in our local communities. Look for us out in the community year-round as we do our part to improve the lives of others.